Swing gates swing in either direction when opened or closed. 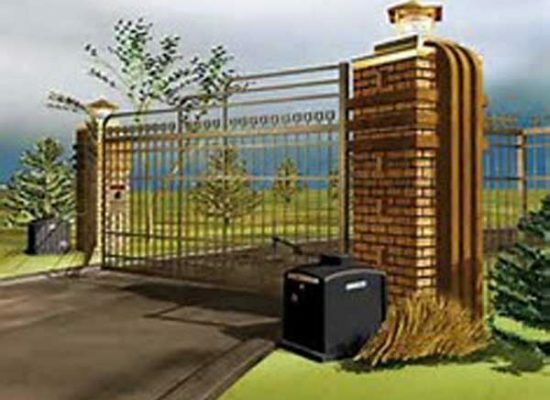 Automatic and electric gate operators are designed for sliding and swinging gates. Wrought iron gates are best served by automatic openers for greatest ease and enjoyment. 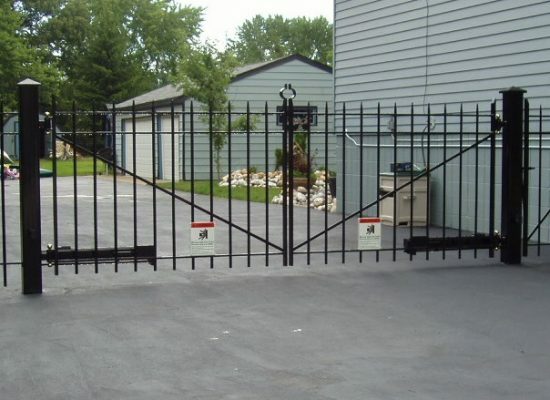 Installing an automatic driveway gate will optimize security while providing you and your guests an easy, sophisticated means of entering and exiting the premises. 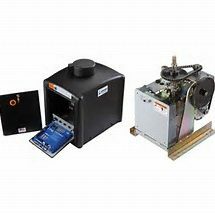 These are hydraulic operated openers that provide the versatility and power needed in most residential and commercial situations. 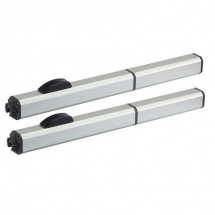 These are a version of swing gate openers designed for in-ground installation applications; a variation houses both the pump and drive components under ground. Looking for more information on swing gates?